Justin Bieber recently bought an $8.5 million 1930s Monterey Colonial style mansion in Beverly Hills to share with his wife Hailey Baldwin. The Canadian pop star was living in rented apartments since he sold his Calabasas house to Khloe Kardashian at $7.2 million in 2014. His new residence is a 1930s Monterey Colonial, which was redesigned by its previous owner Greg Hebner seeking the help of designer Charles Infante. The home is spread over 6100 sq foot and is accommodated with 5 bedrooms and 7 bathrooms, followed by a home theater and library. the house also has a wine cellar a wet bar and a swimming pool. The residence is quite secluded and neighbors only five other estates. The recently wed are happy to call this new place their home during this stressful time. Justin Bieber and Hailey Baldwin legally married in September 2018 and have saved the wedding celebrations for the coming future. According to People, their focus is not in marriage right now. Justin Bieber is currently going through a lot of stress and has been reported to be suffering from anxiety and depression. 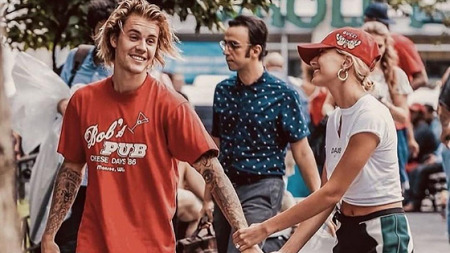 With this new start, Justin Bieber with the help of wife Hailey Baldwin might be able to overcome his mental issues and get back on making music.